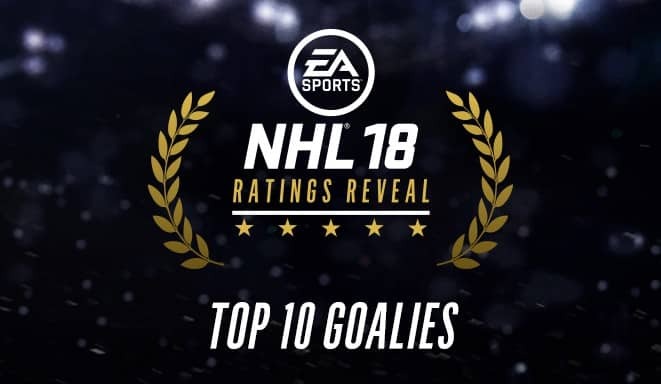 With the release just a couple short weeks away, EA Sports has revealed the Top 10 Goalie ratings for NHL 18. Goalies are given a five-star rating in three macro-areas which are Reflexes, Athletic and Puck Control. 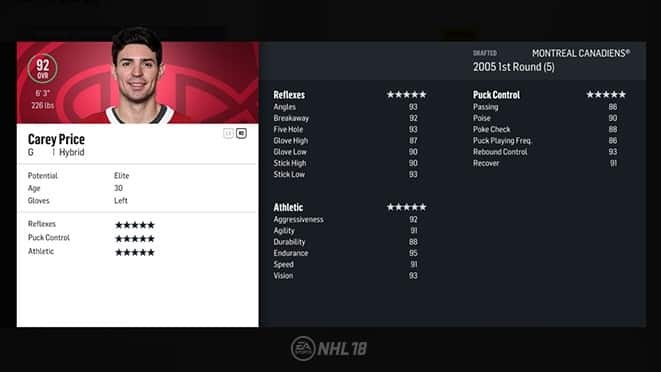 The top-rated goalie in NHL 18 is Montreal Canadian Netminder Carey Price with a 92 overall rating.